This is the definitive guide to performing, progressing, and using Cossack squats in your training. While many lifters today squat, front squat, lunge, and deadlift, we often find our training plans focusing on one singular plane of movement, often neglecting the other Cardinal planes and join actions. In doing so, we can create muscular imbalances, neglect joint integrity, and find ourselves with nagging joint pain, stiffness, and injury. Enter, the Cossack squat. Who Should Do the Cossack Squat? The Cossack squat can be used as a warm up, corrective, active recovery, and/or assistance exercise. 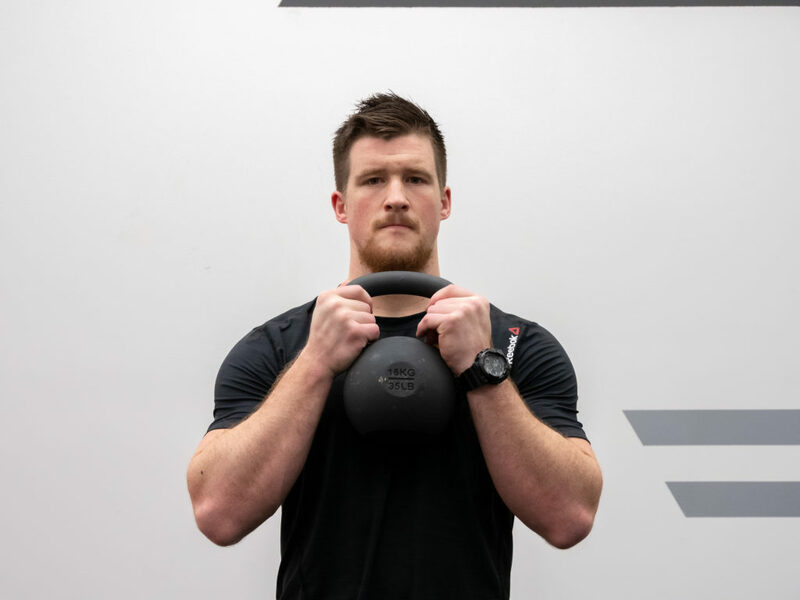 Depending on your ability to perform the movement through the full range of motion with finite control, you then can add variations, loading, and increase the intensity and complexity of the movement. Below is a step-by-step guide on how to perform the cossack squat. Stand with your feet wider than shoulder width, at about the same stance you would set up for a sumo deadlift. The toes should be slightly turned outwards. Coach’s Tip: Every stance width is different, and you can adjust it once you are in the bottom of the squat if need. This step is optional, however when adding weight many beginners also feel better balance and stability as the loading can serve as a counterbalance. If you are a beginner, try using a 10-15lb weight as a counterbalance, as this will help you stay upright as you squat. Coach’s Tip: Think about keeping the weight at or above chest level, as the higher it is the more you will be able to stay upright. Shift your weight into your left foot, while simultaneously picking up your right toes and allowing your right heel move freely if need. Descend into a deep lateral lunge, focusing on sitting down instead of pushing your hips back, making sure to keep your left foot fully planted, and your right leg completely straight. Your chest should remain upright with the hips down. Take some time to explore tension in the legs, hips, and body, focusing on releasing lower and lower into the squat. Coach’s Tip: If you need to adjust your stance width, this is the time to do so. When ready, drive through the left foot, going over to your right and finishing the rep on that side. You do not need to stand up all the way between every repetition, however you can if you need as it will allow you to reset and maintain balance and stability. The ability to restore and recover, both from acute and chronic stressors of increased training volume, intensity, and frequency is critical to long-term success of an athlete. The Cossack squat offers us a unique solution and preventative approach to joint pain, stiffness, and injury prevention. Many of us have seen this squat variation, and often deemed it as a “flexibility or bodyweight” movement, somehow understating its difficulty and effectiveness for athletes. Additionally, when we then choose to perform them, we quickly are about the end result of competing reps, instead of focusing on joint integrity, neuromuscular control, and restoring/exploring new ranges of motion. Dr. Andreo Spina of Functional Range Conditioning suggests that the ROM needs to be trained in 10-20 degree increments, in order to maximize and restore joint health and articulation. The Cossack squat provides us with a multi-planar means to improving ankle, knee, and hip health, at the same time. The hips, knees, and ankles all work together in most lifts, as well as all human locomotion/sporting movements. Improving the joint and connective tissues of each depend upon the structural stressors that are placed upon them, such as force application. The Cossack squat allows us to apply those forces from various angles, creating a stronger structural “web” and awareness. When squatting, pulling, and pressing large loads, we may find ourselves in situations that, if not prepared for, could result in injury. Maybe the knee collapses at the sticking points, or our footing is slightly different in the catch of a clean. The better our bodies are able to deal with the various stimuli on the fly, the less injury prone we may be. By training the Cossack squat, we are able to work the joint in various new degrees, directions, and improve our control and awareness. I often find myself doing these as warm-up movements post a nice row or air bike bout so that my body is ready for the large demand placed upon it through this extensive range of motion exercise. The key I have found is to breathe through the movement and to make sure you are properly warmed up, as this is a more advanced mobility and strengthening exercise. Timed sets have worked well with my lifting groups in both workout sessions and active rest days, in which the emphasis is placed upon maximizing every repetition for quality versus quantity. Whatever you choose, explore this movement to increase your range of motion, recover from training sessions,’and better protect yourself from often preventable injuries. Cossack squats are often used as a movement/mobility exercise, however can be used to increase control and basic strength of the leg muscles. Note, that due to the deep stretching of the groin it is not advised to use heavy loads with this movement. Who Should Perform Cossack Squats? The Cossack squat is a great movement/exercise for all lifters and fitness goers to restore hip function and increase hip stability and mobility. 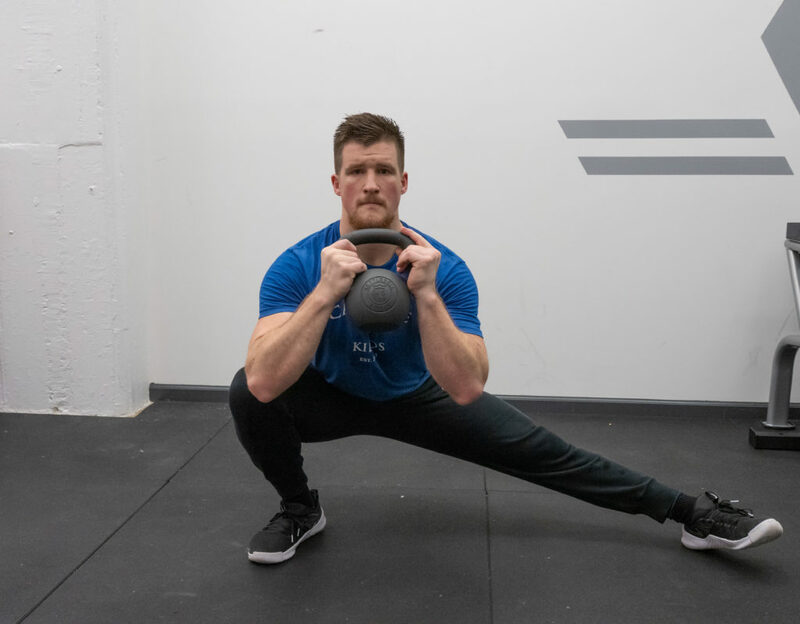 Strength and power athletes can use the Cossack squat to improve hip mobility and muscle control to enhance injury prevention of the hips, knees, and inner groin. Powerlifters: While the mobility and deep end ranges of ankle, knee, and hip flexion are not as needed in powerlifting and strongman as with Olympic weightlifting, neglecting a foundational movement like the Cossack squat could be one reason why knee, hip, and other lower body injuries and or stiffness occur (due to poor movement mechanics) with some lifters. Strongman Athletes: Simply adding Cossack squats to warm-ups or movement sessions can aid in hip/knee stiffness and improve the injury resilience of the lower body joints. 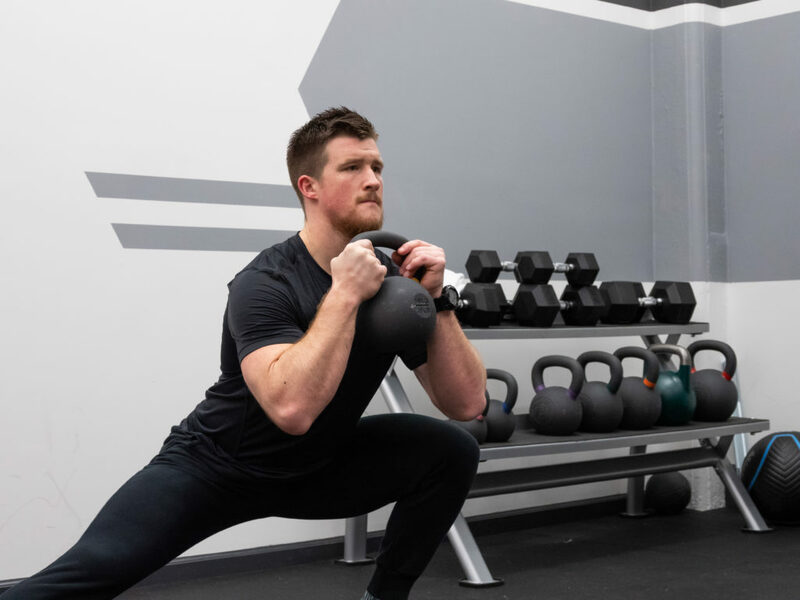 Weightlifters: Olympic weightlifters can use the Cossack squat within warm-up or movement sessions to increase end range mobility and control in the squat, necessary for successful and health lifts. In addition to the benefits of increase lower body joint function for strength and power movements, the Cossack squat is a good indicator of proper hip/knee/ankle movement and integrity. The ability to perform this movement demonstrates that an individual has ample mobility, bodily control, and stability at deeper ranges of motion to participate in more advanced and even high impact exercises. Many individuals will not be able to perform this, which is an indicator of issues that if left unattended to could increase injury risks. What is a Cossack Squat? Below are two primary training goals and programming recommendations when programming Cossack squat into training sessions. Note, that these are general guidelines, and by no means should be used as the only way to program Cossack squats. Additionally, the Cossack squat is not generally used to increase leg muscle mass or strength, but rather to increase mobility, improve movement, or help prepare for hard training. For general movement training, athletes should perform slow and controlled repetitions, within the deepest ranges of motion they can achieve. You can perform pauses at bottom, tempos, or use various loading placements to all increase difficulty and/or regress the movement based on mobility limitations. In no way is this exercise meant to be trained with heavy loads and or high speeds. Train this movement with manageable yet challenging weights, and never sacrifice movement/form for loading. 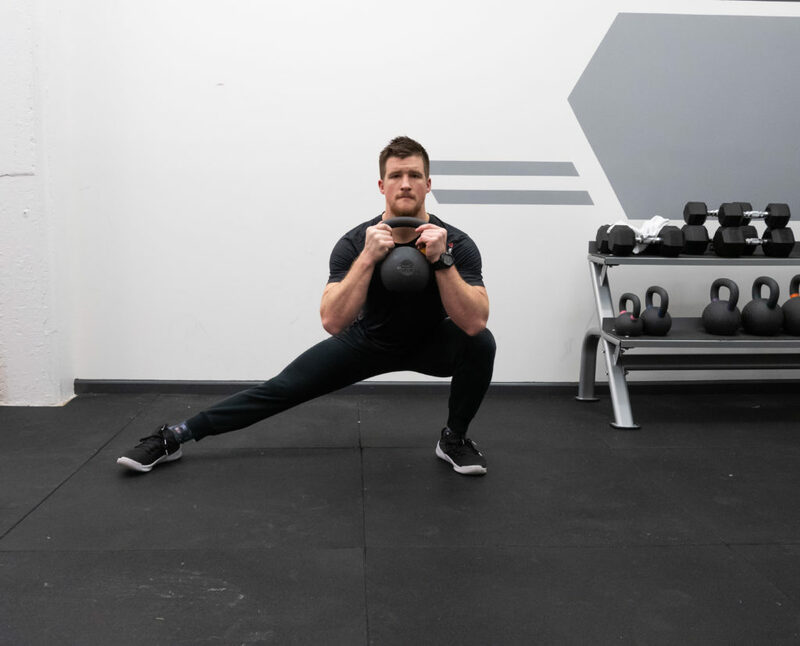 Below are three (3) common cossack squat variations that can be done to improve performance/skill, increase core strength, and more. The counterbalance, which is often a small load held in front of the body, can serve as a way to allow a lifter to find better balance and assume an upright positioning as they learn the Cossack squat. This can be done to increase loading onto the movement via kettlebells (front racked) or a front rack barbell. This can help to also increase a lifter’s ability to open the hips up due to the added counterbalance (similar to the variation above). 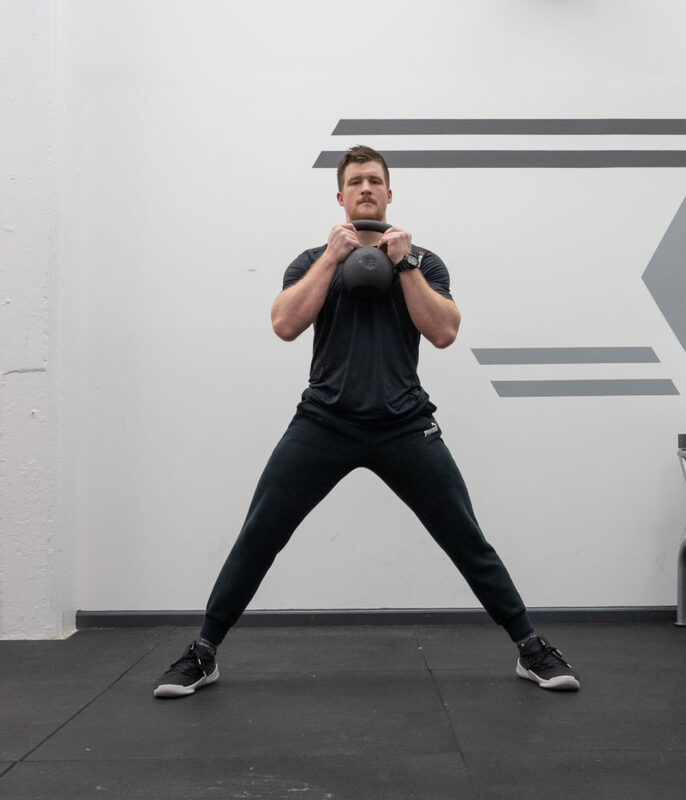 The overhead Cossack squat can be done with a barbell, dumbbells, or kettlebells, and is a highly challenging movement progression testing both upper body and lower body mobility and stability. Below are three (3) Cossack squat alternatives that can be done to vary programming, challenge lifters, and more. 90/90 hip mobility training can help increase mobility and movement at the hip joint, which can also then improve knee and overall squat function. Increased internal and external hip movement can both be seen with the 90/90 hip drills and Cossack squats. 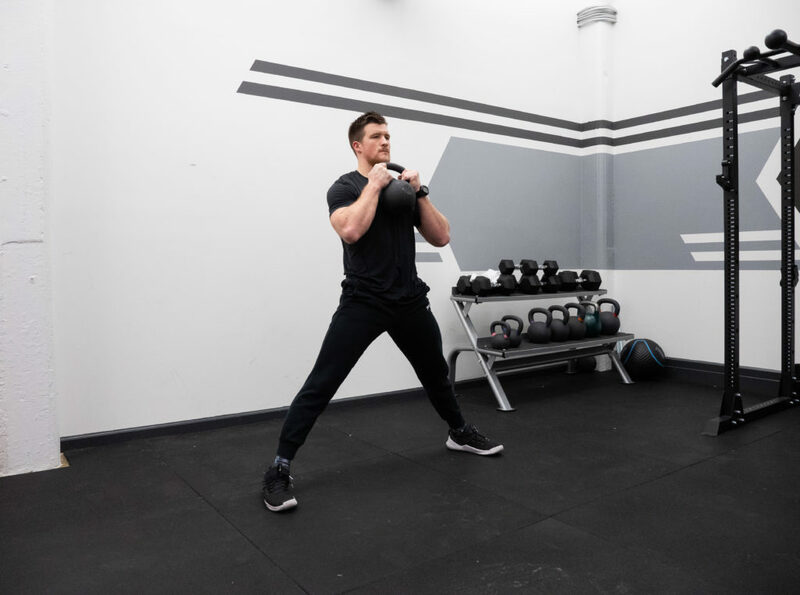 The side lunge helps to increase muscle coordination and strength in similar planes of motion of the Cossack squat, however does not hit the deeper ranges of motion. This could be a good transitional exercise for lifters who may lack control and/or mobility to assume full Cossack squat to depth. Now, this may seem pretty vague, but a great amount of lifters would benefit from stretching (static holds) before and/or after training sessions (yes, some high level lifters swear by stretching BEFORE sessions). Simple hamstring, groin, and other standard static stretches (can do with a partner) can help to also increase mobility and performance. Check out some of the below articles discussing ways to increase mobility and address your movement limitations! Mobility vs Flexibility – What’s the Difference?